Call it a trend, call it a movement, call it whatever you like, but there is no denying that the No Poo method has saved a lot of hair. If you have silky, soft hair all the time and experience bad hair days like once a year, there is nothing for you here. BUT if you have dry, frizzy hair or are struggling to control your naturally curly hair, the No Poo method is going to be your ultimate savior. No Poo is short for No Shampoo. It doesn’t essentially mean that you don’t use a shampoo AT ALL. It just means that you are not using the traditional “cleansing” shampoo and/or are using alternatives to shampoos to cleanse your hair. 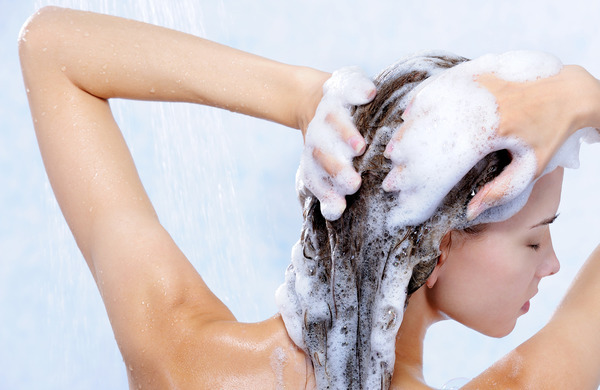 The good old shampoos have gotten a bad rep due to mainly one ingredient – sulphates. Sulphates, while excellent at creating that much satisfying lather, and making your hair squeaky clean, do more harm to you than good. They strip your hair of ALL oils, not just the ones that make you look like a greasy mess – which means that your hair loses its natural oils too making them dry, dull and lack luster. It doesn’t means that you stop cleaning your hair altogether – that’s just stinky! Make the move gradual so that if you have an oily scalp, you don’t look like a drenched oil slick all the time and your scalp and hair get used to the idea slowly but effectively. Wash less frequently. You shouldn’t wash your hair everyday anyways. So if you are washing your hair every day, start the method with washing it less often so that your scalp starts adjusting to more oil. Wash it at alternate days or better yet, only twice a week. This is a good idea for all hair types. Even if you have silky, soft hair, it is better in the long run to wash less frequently and/or use a mild shampoo with less harsh ingredients. Once your hair gets used to being less tortured, switch to a sulphate-free shampoo. 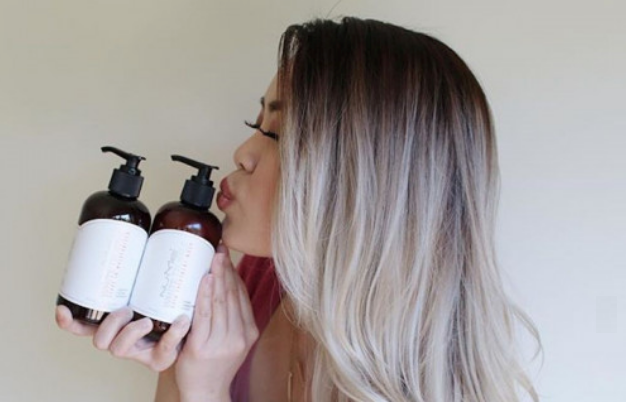 There are a number of sulphate-free brands and shampoo variants on the market now, which lather more or less depending on other ingredients included in the mix. While it may not be satisfying to not have suds to play with in the shower, trust us, lesser suds are much more beneficial to you than the foamy mess that you always preferred. If you think that these sulphate-free shampoos are still too drying for your hair, opt for a cleansing conditioner. It can be one specifically made for the task or your regular nourishing conditioner. Simply use that to cleanse your hair. Again, not washing frequently is the key. If you are really planning to go all chemical free, do a water wash.
Use good old plain water to wash all the dirt and grime out of your hair. Surprisingly enough, this will work well for your hair unlike what you might be thinking. The only problem with this method is that it’s not suitable for those who use styling products. If you are a regular user of styling products, you will need a shampoo (mild or sulphate free) to get rid of all the residue build up. If you do not use shampoo to clean it up regularly, the buildup will cause damage to your roots and eventually, your hair lengths. But if you are not still not willing to use shampoo (we have created a No Poo monster, haven’t we? ), then you can use DIY methods to wash the product residue. A good DIY trick is to use Apple Cider Vinegar to wash your hair. Simply mix two tablespoons apple cider vinegar with one cup water and give your hair a good rinse with it. Fair warning though, you won’t be a fan of the after smell. Finally, the no washing method. You simply dry shampoo away the oils and residue on days between washes and/or when you don’t have time to wash and blow dry your hair the usual way. 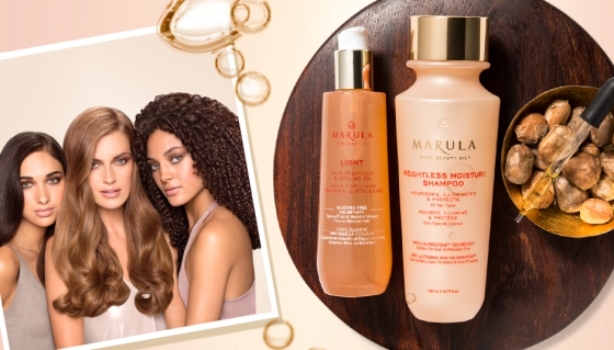 Dry shampoos are waterless, starch-based products, available in aerosol or powder formulas. All you need to do is spray the dry shampoo at your roots, give it a good jostle and then comb/style after a few minutes as usual. Good hair day right there in flat five minutes. Be careful while choosing your dry shampoo as some of them leave a white cast even after you have combed the product through. Not a flattering look, we tell you. So are you ready to hop on the No Poo movement? Share with us your experiences by tagging @beautybridge at your favorite social network!